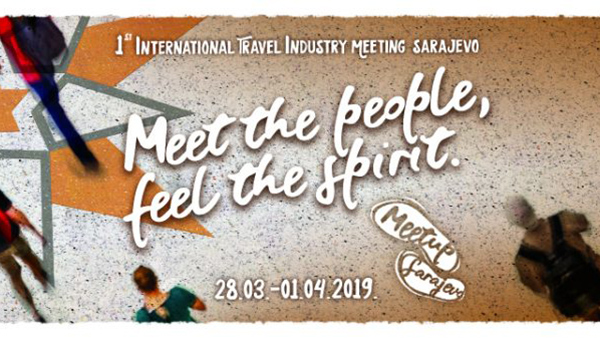 Between March 28 and April 1, 2019, the capital of Bosnia and Herzegovina hosted the First International Tour Operator Meeting entitled 'Meet Up Sarajevo', with the purpose of promoting Sarajevo and Bosnia and Herzegovina as the most desirable tourist destination. Over 200 travel agencies from more than 100 countries were represented and had the opportunity to visit all cultural and historic amenities of Sarajevo and Bosnia and Herzegovina and experience them in a very special way. FLYBOSNIA was proud to take part in this meeting of tour operators with the objective of showing our guests all the beauties of Sarajevo and Bosnia and Herzegovina, because they are the best ambassadors of Sarajevo throughout the world.